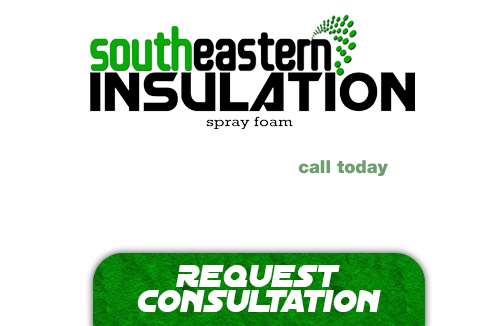 Southeastern Insulation uses spray foam insulation, made of polyurethane froth, which is the same kind of appliance that manufacturers have used in refrigerators and water heaters. It can be used as an insulating and air sealing product for residential wall and ceiling cavities. The Commerce spray foam insulation is sprayed onto the wall cavities thereby expanding it. The liquid is sprayed through a nozzle into wall, ceiling, and floor cavities where it expands to fill every nook and cranny. Because it expands into tight areas, and its froth is ideal for insulating steel framing and outlets. This product can seal and fill tiny unseen cracks and seams, eliminating energy-wasting air filtration. Excess froth is scraped off the sides to form a uniform wall cavity. 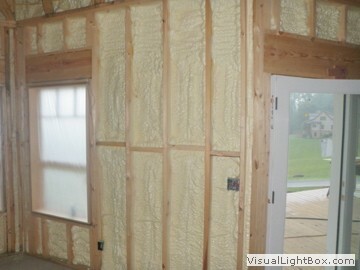 It makes it easy to completely fill wall cavities with insulation and to also perform air sealing. It is applied as a liquid which contains a polymer and a foaming agent. The Commerce spray foam insulation product also helps control moisture condensation because it does not shrink or settle. It is fire resistant and reduces heating and cooling costs significantly and its thermal seal keeps cold air in and unwanted air out. Spray on insulation has also been known to improve indoor air quality, thereby decreasing the likelihood of allergies. It also has high quality sound control, and significantly reduces dust, mold and mildew accumulation. Most importantly, the froth from the spray has been known to help the economy and the environment by using recycled materials in the froth. The containers are usually also recycled. Those who use this product are committed to providing quality renewable resource based building materials. If you’re looking for a professional Commerce Spray Foam Contractor, then give us a call today at 678-561-FOAM or complete our request estimate form.